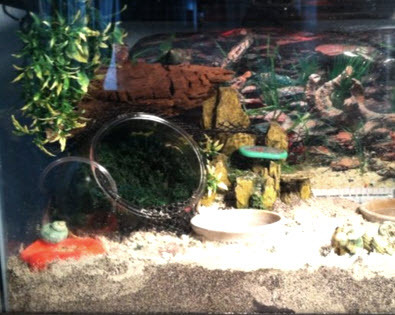 Use a fish bowl as a moss pit for your hermit crabs! Get a fish bowl that is a good size and shape for your tank. Dig a hole in the substrate, and bury one side of the bowl to put the mouth of the bowl near the surface of the substrate. Fill the bowl with moss, and if needed, put a ramp or climbing structure near the entrance for your crabs to use to climb into the bowl. Attach one end of an air tube to a humidifier and put the other end of the tube into the pit.